1. Carefully peel back the adhesive foil that secures the backlight bulb wires, to free the wires and expose the screws that secure the left side of the display panel. 2. Disconnect the backlight bulb wire connectors from the inverter board. wires and expose the screws that secure the left side of the display panel. 2. 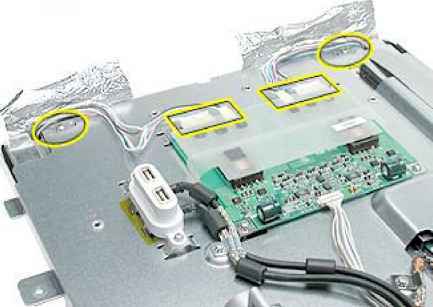 Disconnect the backlight bulb wire connectors from the inverter board. 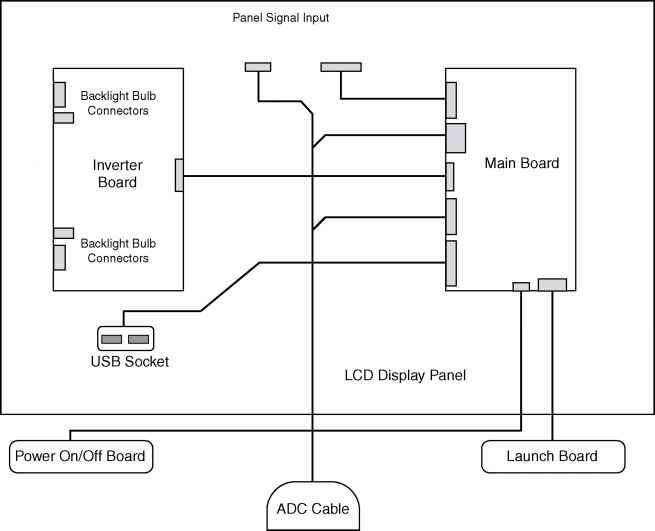 Disconnect cable connectors to the display panel. Remove the four Phillips screws located at the corners. Remove two Phillips screws along the top side of the chassis, and two Phillips screws along the bottom side of the chassis. Important: Support underneath the display assembly if lifting it up while removing screws, to prevent the display from falling out of the chassis. 6. 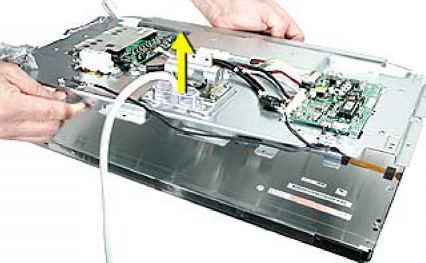 Remove chassis, being careful not to catch wires. Replacement Note: Be careful not to catch or pinch the backlight bulb wires. Replacement Note: Replace the long corner screws first, before the top and bottom side screws. Note: The top side and bottom side screws are different. The screws for the top have a flat head. The screws for the bottom have a rounded head. How to repair apple 30 display backlight? 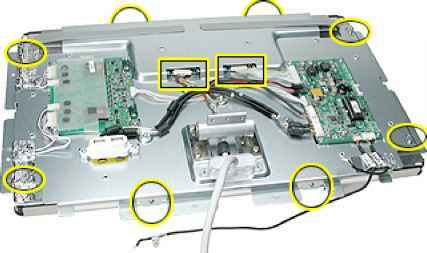 How to remove apple cinema display? How to replace an Apple LCD 24 inch display Backlight?